It strikes me odd how I can talk about doing something with little fear, yet when this certain something approaches, I react as if I never expected to be faced with the faintest bit of pause towards its happening. Then I find myself in a bit of a predicament. All the blissful ignorance of my true feelings towards said thing turns into a one-track mind, a focus lost in the dread of this event’s arrival. In this instance, I speak of my first ever solo flight. I have flown more times than I wish to count with Hubby*. With him by my side I don’t feel the least bit of worry or nerves. I have no problem directing the two of us through an airport without hesitation. *Do you recall the six flights we took between California and Hawaii last year? But when it came to doing it alone? I quivered like a toddler about to receive a shot at the doctor’s office. 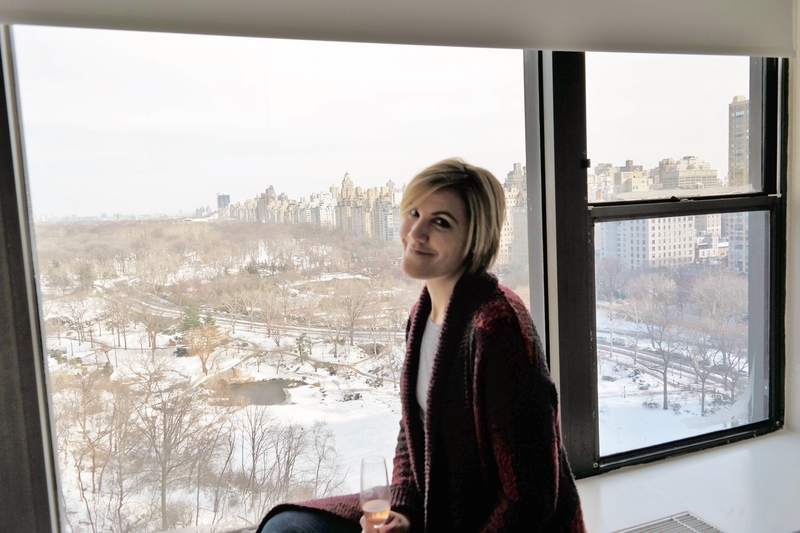 Some people aren’t fazed by the thought of flying alone, yet others, when I told them I would be taking this trip to Italy without any sort of travel companion, their eyes widened as they marveled at this thing which they were certain they could never do. Not exactly a solo travel photo, but hands down, one of my top 5 favorite pictures from my trip. 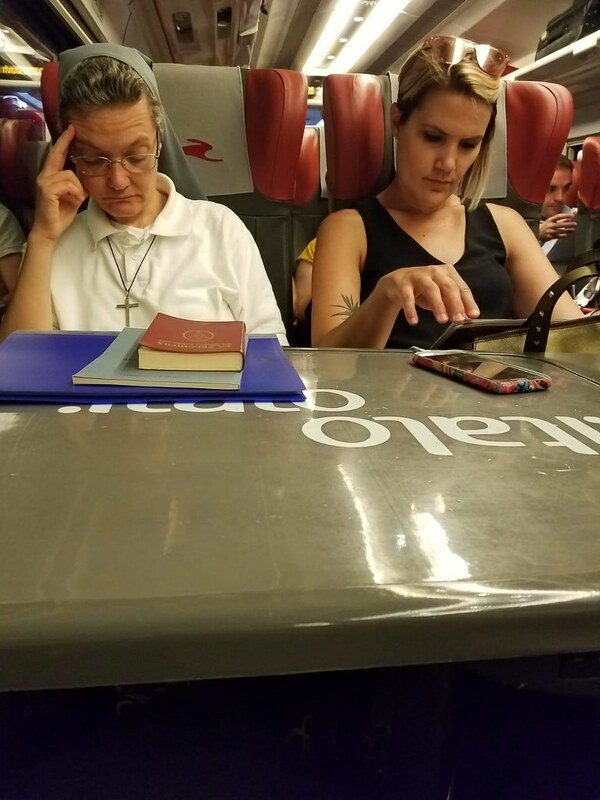 My SIL, Mallory, snagged this picture while we were on a train to Firenze. So, what was it like? Taking on an eight-hour flight there and a nine-hour flight back without someone to share in the adventure? *That is, once I got through the initial pep talks and motivating “You can do this” moments the day and hours leading up to my first flight. I found myself observing my surroundings more, awakening an alertness inside of me which I sometimes allow too much vacation time when someone else is ‘in charge’. On my departure, I spent more time than I usually would paying attention to my neighbors, the parents traveling with their teenage son sitting to my left and the newly married older couple to my right. I studied the stewards and stewardesses, creating in my mind backstories of their lives outside of the narrow pathways of our aircraft. I read more and watched the complimentary TV less. One of the greatest things about new experiences, to me, is that despite the thousands of others who have done the same thing before you, when you live it yourself you now have your own story, your own take on this thing once foreign to you. Even if you reach the end and say, “I hated it!”, you can place a specific moment, sensation, or emotion rather than speculation behind the why of this feeling. However, have no fear, dear reader. Hubby has no need to worry that I will soon become a regular solo traveler. For as relaxing as it turned out to be, it was equally as lonely at times. There was no one there to share the anticipation and thrill of the journey. No one to lean my head on when I grew tired. No one to turn to with a child in a candy store’s delight as we landed. All things which would deter me from making this a reoccurring event, rather than an occasional one.